After a year of unremitting efforts in design, improvement and fine tuning, today we finally bring you the long-awaited MP-D2 MK3 10th Anniversary Edition, celebrating the 10th anniversary of Musical Paradise. Ten years hastily gone, everything is hard to come by! MP-D2 MK3 has been seriously redesigned and guaranteed sounding significantly better than its predecessors which sound amazingly already. The following is a brief and straightforward description of the technical highlights, sound characteristics and specs of the MP-D2 MK3. 1. Both the USB module and the motherboard use Linear ultra-low ripple output LDO regulators, which is reduced from the previous Texas LDO 4.17uV to an unprecedented 0.8uV. 2. 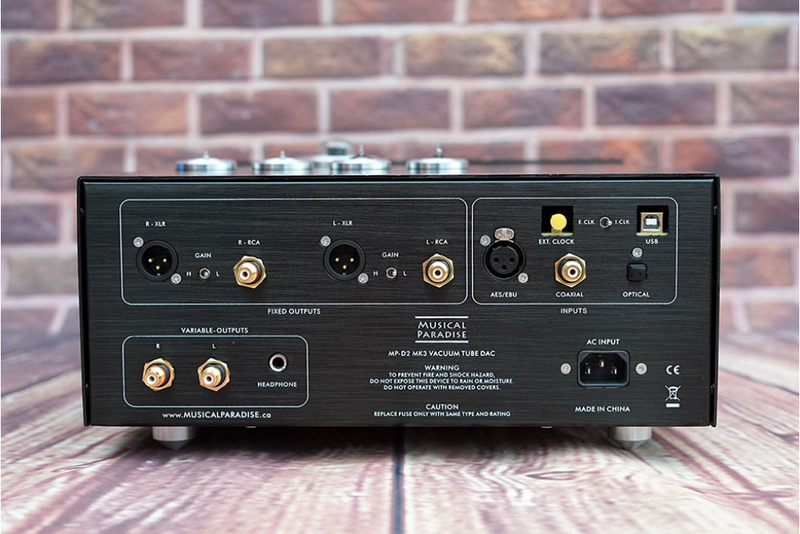 Uses AKM low jitter SPDIF digital receiver and SiTime low phase noise clock for coaxial, optical and AES inputs. The addition of SiTime clock provides lower jitter superb performance. Coaxial and AES inputs are isolated by digital isolation transformers. 3. The rectifier diodes were all changed from the previous generation 3A to 10A high current and low loss models. 4. The total filtering capacitance is doubled compared with the previous generations, so the power supply quality factor is greatly improved. 5. All PCB boards are redesigned and optimized routing. 6. 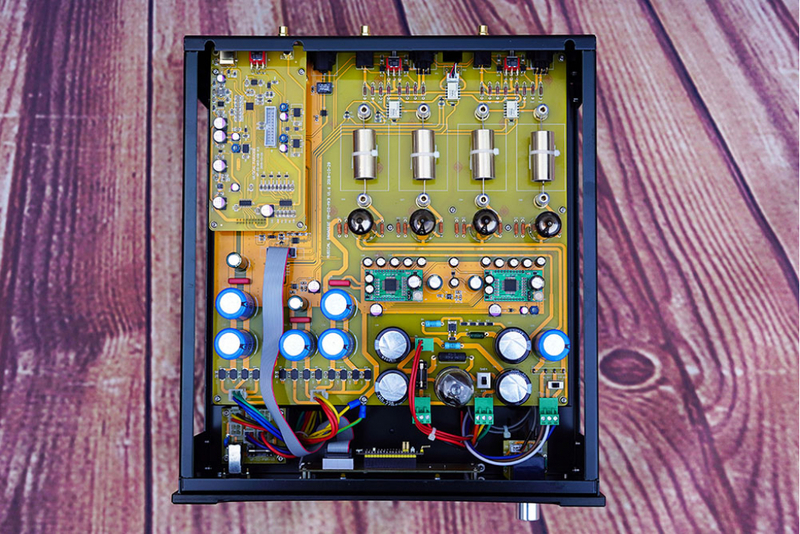 The high voltage tube power supply employs regulator circuit to prolong the life of signal tubes, and lower ripple. 7. The USB module uses the latest XMOS U208, which is twice as fast as the previous generation U8. 8. USB module I2S output comes with digital isolation circuit to isolate the digital interference introduced by the computer. 9. USB module uses SiTime low phase noise clocks for audio. 10. USB module provides an external clock input port for leading edge technical users to further improve jitter performance. An external 3.3V 22.5792Mhz or 24.576Mhz clock is supported. 11. The MCU microcontroller has been upgraded from 8 bits to a 32 bits processor, and the operation speed has been increased by about 10 times. 12. A digital isolation circuit is added between the MCU microcontroller and the motherboard DAC to eliminate the interference from the MCU to the high-precision DACs. 13. Two simple switches let user choose 6.3V series and 5V series rectifier tubes (6Z5P, 6X5, 5AR4, GZ34, 5U4G, 274B, and more), 6.3V and 12.6V series signal amplification tubes (6H6, 6H30, 6922, E88CC, 12AU7, and more). 14. The headphone amplifier circuit is upgraded. 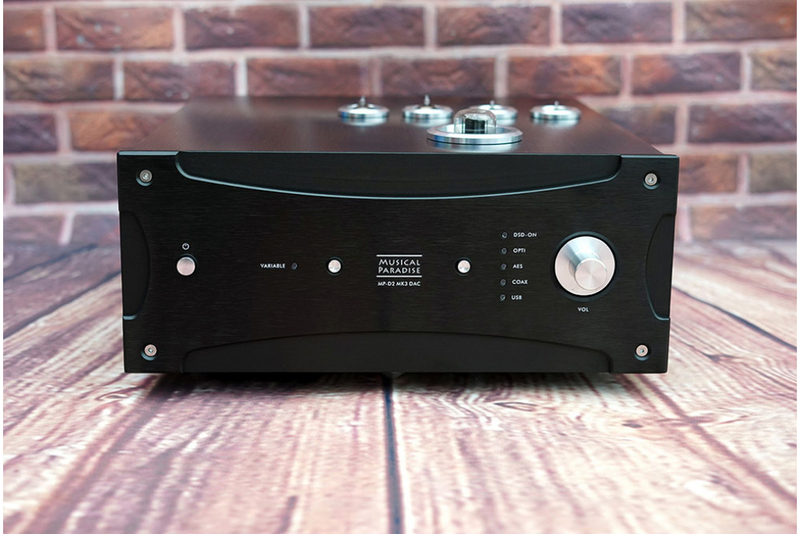 The sound quality is greatly improved comparing to its predecessor, and the insertion of headphone automatically disconnects the preamp output function. 15. High-power 150W and 100W dual toroidal transformers are employed to provide high redundancy. 100W is responsible for the digital section, and 150W is responsible for the analog output to provide the purest and extremely high capacity power supplies. 16. 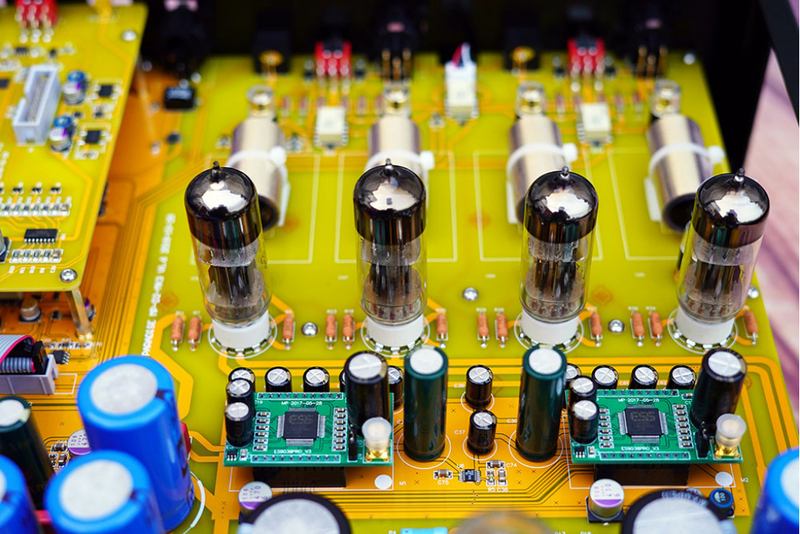 The world's first user-swappable DAC chip and output coupling capacitor design. The DAC chip modules are upgradable. In the future, a new DAC chip will be released. We will introduce the corresponding DAC module for users to upgrade. 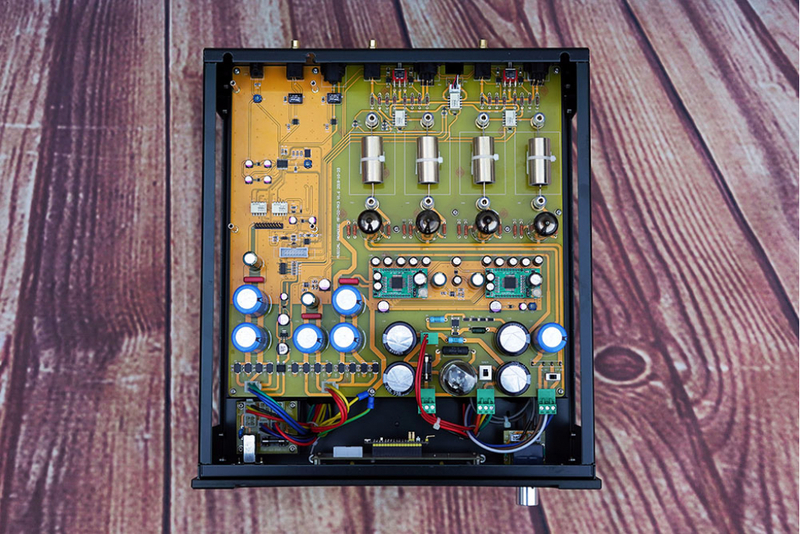 Users can even change different output coupling capacitors to customize the sound characteristics they like. 17. An MCU firmware downloader is included, so the user can upgrade the firmware to support more future DAC modules. 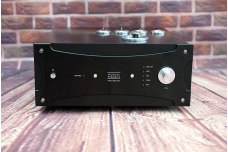 Users can enjoy new DAC chips without changing the whole DAC. 18. Zero negative feedback analog circuit design. 19. RCA and full balanced XLR fixed level outputs comes with high and low gain switches adjustment. 20. Independent RCA preamp output port. 21. Use genuine audiophile-grade RC components, US Vishay resistors, Obbligato Gold coupling capacitors, ruby, Panasonic, ELNA electrolytic caps, ALPS RK27 volume control. 22. High quality gold-plated RCA terminals, XLR terminals and power plug with EMI noise filter. 23. Aluminum alloy case and suspension feet. 1. The sound stage is extremely 3D, big, wide and deep. 2. Very transparent and airy. 3. Quite musical and souled. 4. Silk smooth midrange and high. 5. High resolution, reveal super fine sonic details. 6. High dynamic, deep and well controlled bass. Input interface: coaxial, optical, AES and USB. USB input supports up to PCM384Khz, DSD256 (AK4490), DSD512 (AK4497), DSD128 (ES9038Pro). 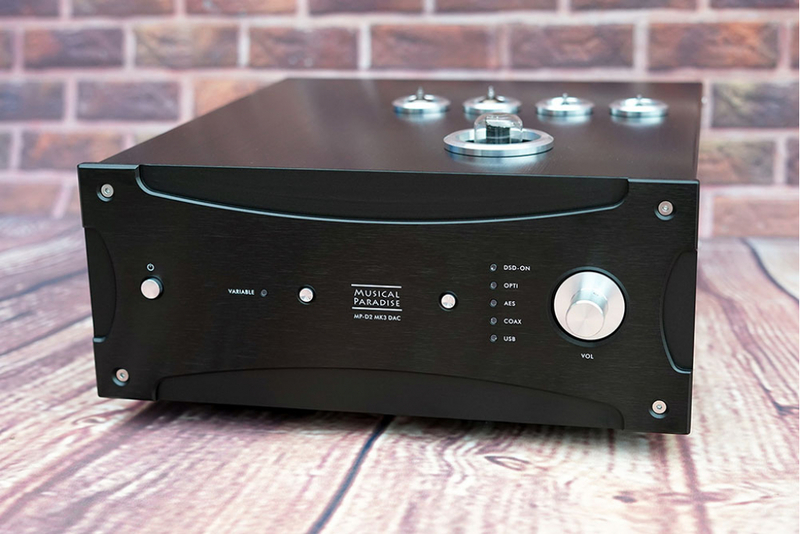 The rest of inputs support up to PCM 24Bit 96Khz. 6.3V series: Soviet 6H6 (stock), 6n11, 6H30, E88CC, 6922, 6DJ8. 6.3V series: 6Z5P (standard), 6X5. Input voltage: 110-120V or 220-240V, pre-configured to the destination country. Can be changed later by the user.